On November 30, 2001, MODIS captured this image of southeastern Asia. The image focuses on the countries of Myanmar, Thailand, Laos, Cambodia, and Vietnam, left to right respectively. 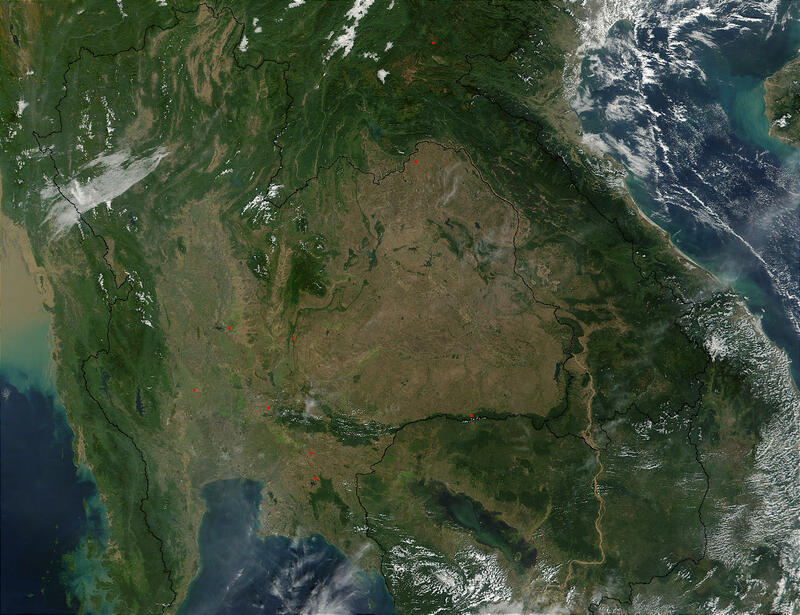 In eastern Thailand, the brown coloring that dominates the center of the image and mimics the country's border with Laos and Cambodia, speaks of the massive deforestation that occurs in this region. One of southeastern Asia's prominent environmental concerns, deforestation has played a major role in flooding in the region. There have also been incidents where portions of Thailand's traditional waterway transport system have been clogged by siltation as a result of deforestation.